At dermaviduals, we believe it’s always a good time to give the gift of great skin, so go bespoke for your favourite bloke this Father’s Day with dermaviduals! Conventional shaving creams and foams often contain dyes, fragrances and mineral oils, all of which can irritate skin, cause inflammation and disrupt the skin barrier. Our Bespoke Shaving Foam contains none of these nasties, just skin loving ingredients picked especially for Dad! What’s the leading cause of dry skin? Towels. Did you know the humble bar of soap Dad uses for everything is actually super drying for his skin? A simple swap to our Total Cleansing Cream will support his skin barrier and is great for his face, body and even hair! We suggest the 300ml pump pack for easy shower dispensing. Why should you wear sunglasses when it’s hot? Because they make you a lot cooler. Got an outdoorsy dad? SPF is a no-brainer. According to Executive Style, only 29% of Australian males are likely to wear sunscreen on a summer’s weekend. Make it easy for Dad to help increase this mind-boggling stat this spring with our Suncream SPF 15 or 30. My wristwatch broke, so I put it on my belt. Now it’s just a waist of time. A Bespoke Moisturiser made especially for Dad is a winner for any occasion! Our Base Creams & Gels can be customised for any skin type, age and condition. Dad’s skin will love the nourishment made especially for it and Dad will love it as it’s quick, simple and packs a real punch! 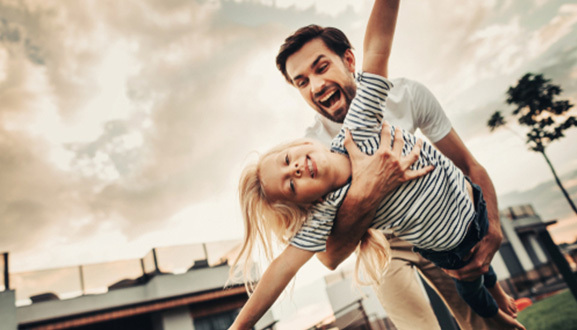 For expert help and advice for the ultimate Father’s Day gift, enlist your dermaviduals skin treatment therapist who will be only too happy to help. Find your closest dermaviduals clinic here.